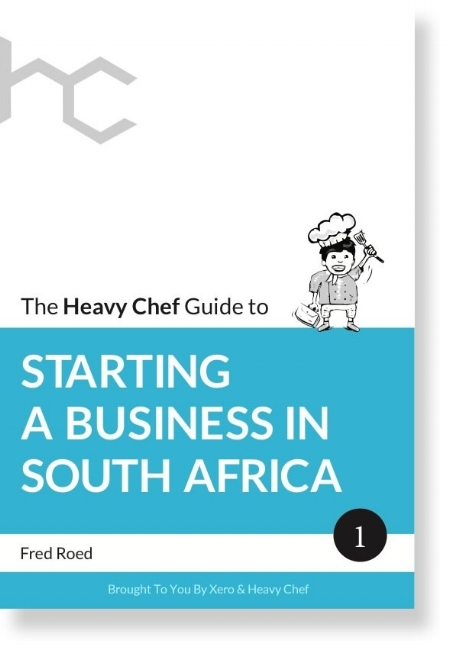 In an exclusive Cape Town event, Heavy Chef is launching a book entitled The Heavy Chef Guide To Starting A Business In South Africa. On May 24, 2018 at the Workshop17 venue in V&A Waterfront. Heavy Chef will be welcoming many of its previous speakers, business partners, collaborators and long-standing fans to celebrate the launch of the first Heavy Chef guide in a series of niche topics. The book is written by Heavy Chef CEO and Founder, serial entrepreneur Fred Roed. Roed explains: "I wanted to put together a guidebook with startup tips and lessons I've learned the hard way on starting and exiting a successful business. I've also included input from Heavy Chefs that have spoken at our events over the past decade. This is the first of many of these guides and hopefully will provide a huge amount of focused value for South African startup community members." Roed will be joined on stage by Colin Timmis, Country Manager of Xero SA, and Andre de Wet, one of Africa’s most renowned entrepreneurs. Andre started iFlix Africa, part of iFlix International Pty Ltd, the world’s leading sVOD service for emerging markets. This streaming media service is now live across a multitude of African territories with an international audience of more than 11 million subscribers. Before iFlix, having returned to SA after seven years in the UK and Asia, he built the website and mobile app, PriceCheck, to be the fifth most visited e-commerce website in Africa. Roed and De Wet will deliver short, punchy presentations on their respective lessons learned - followed by a conversation on stage on the book, greatest challenges, starting a business, running a business, on selling a business. Every ticket bought results in a seat and a signed book. Come celebrate with the Heavy Chef team the book launch at Workshop 17, V&A Waterfront on May 24. Don't miss out, grab your tickets here!